Driven Landscapes of Naperville IL began service in 2017 under the leadership of owner Josh Schultz. Prior to starting his own landscaping business, Josh served his community as a firefighter – a lieutenant with the Frankfort Fire Protection District. Now, with a wife and two little boys, Josh has decided to serve his community in a different way, starting his own landscaping business. 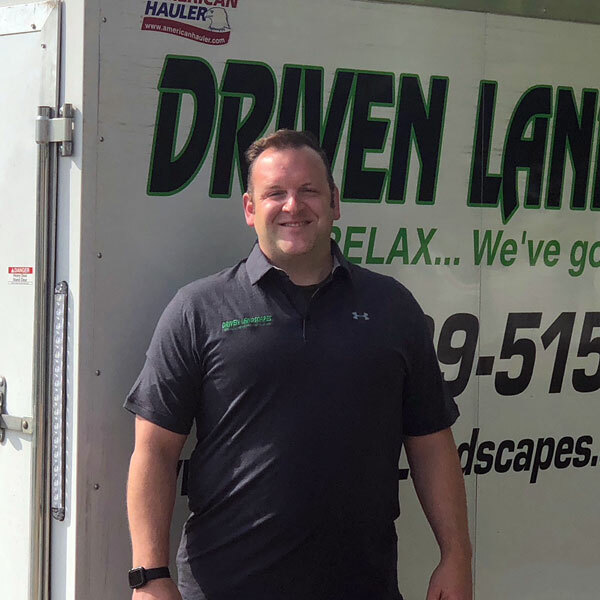 After several consultations with Driven Landscapes founder, Jonathan Orcutt, Josh decided the best path would be a Driven Landscapes franchise. Having worked in the landscaping industry before, Josh recognized the importance and value of the business systems that Driven Landscapes would provide, both for himself as a business owner, and for his customers. Together with the Driven Landscapes family, Josh looks forward to many years of providing superior customer service while helping to beautify the community.